Home > 100% satisfaction guaranteed, or your money back! 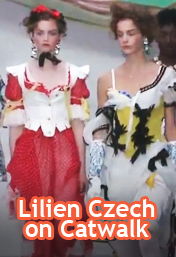 When you shop at lilien-czech.com, you can feel confident in the knowledge that your purchase is covered by our Money Back Guarantee. If you are not completely satisfied with your purchase, contact us immediately, and we will do what is necessary to put things right. If, for any reason, we are not able to remedy the situation, we will authorize a return and provide you with shipping instructions for a full refund. Products with quality problems can be returned if you notify us no later than 7 days from the date on which the product is delivered to you. Once we receive the product that you have sent back to us, we will provide you with a complete refund. Products with quality problems can be returned and replaced if you notify us no later than 30 days from the date on which the product is delivered to you. Once we receive the product that you have sent back to us, we will ship you a replacement. Products with quality problems can be returned and repaired. Once we receive the product that you have sent back to us, we will repair it and reship it to you.